They are completely different from the hypoglycaemic sulfonamides both in its structure and its mode of action . They cause little or no hypoglycaemia in non diabetic .possible mode of action suggested is that they interfere with mitochondrial respiratory chains promote peripheral glucose utilization by enhancing anaerobic glycolysis or they enhance binding of insulin to its receptors and potentiate its action. Other explanation is that they suppress hepatic glucon-eogenesis and inhibt intestinal absorption of glucose. Maturity onset obese diabetics in whom diet alone has failed . 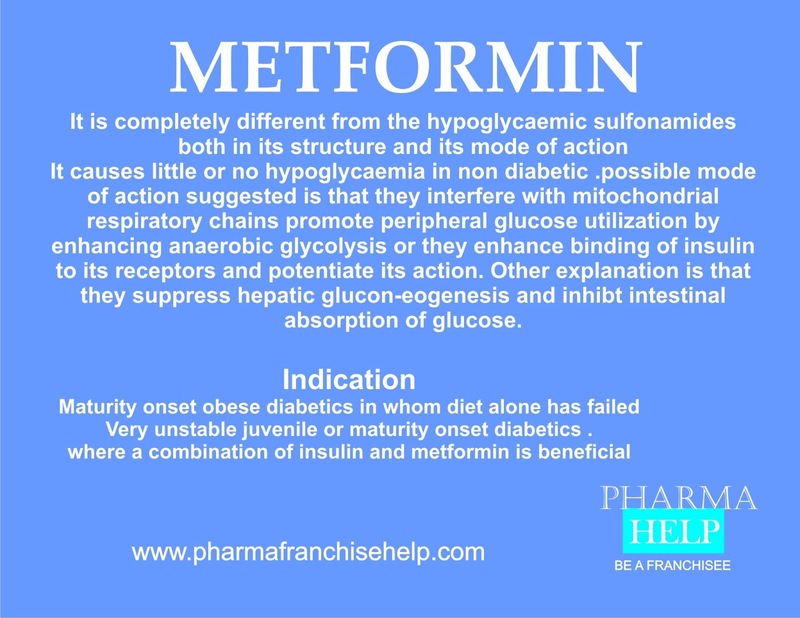 Very unstable juvenile or maturity onset diabetics .where a combination of insulin and metformin is beneficial .